One in seven Canadians is over the age of 65. That number will rise to one in four in the next few decades, making aging a defining attribute of 21st Century Canada. We need to understand how to support and care for an aging population, and how older Canadians will contribute to their communities and to society at large. Informed policies on aging require wisdom borne of critical thinking, particularly about the social and cultural dimensions of an aging society. 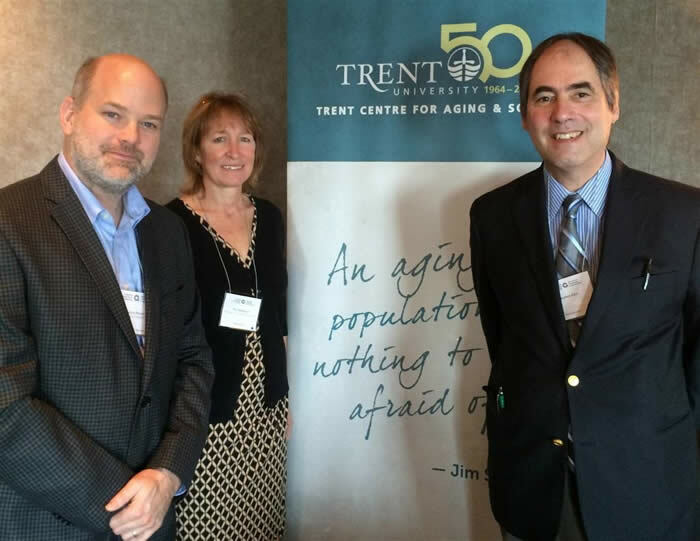 This new integrated, cross-disciplinary research centre at Trent will be a catalyst for innovative, critically-informed responses to the challenges and opportunities of population aging. Research will inform policymakers, community leaders and advocates across Canada and around the world. Your investment in this Centre will support students, advance critical research projects, and foster international knowledge dissemination.